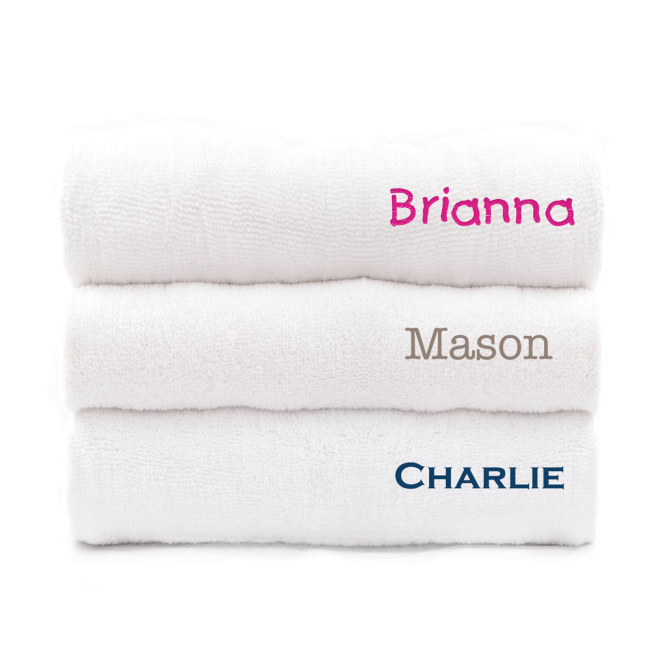 Personalised Junior Towels - Embroidered | Stuck on You ?? 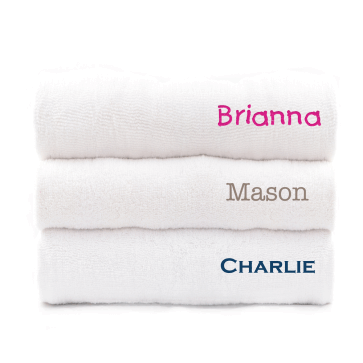 There’s nothing sweeter than wrapping up your child in a soft, snuggly towel after their bath or shower. Our Supersoft Junior towel is slightly smaller than the adult version and comes in classic white. These supersoft towels make a fantastic gift.